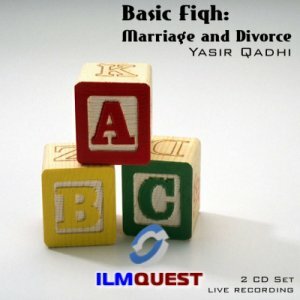 This double CD presentation explains the basic fiqh matters as well as little known facts regarding marriage and divorce. The speaker touches upon topics such as the legality of marriage, the conditions and procedures of marriage, the dowry, the prohibited marriages, marrying non-Muslims, the etiquettes of the walima, the steps of reconciliation, talaq, khula, the other forms of breaking a marriage, the rules of the iddah, and an overview of the rights and of the husband and wife. This lecture is a necessity for everyone.